The city of Armidale differs from most inland regional centres because it has a long established university, transforming it from a rural town to a sophisticated and cosmopolitan city. 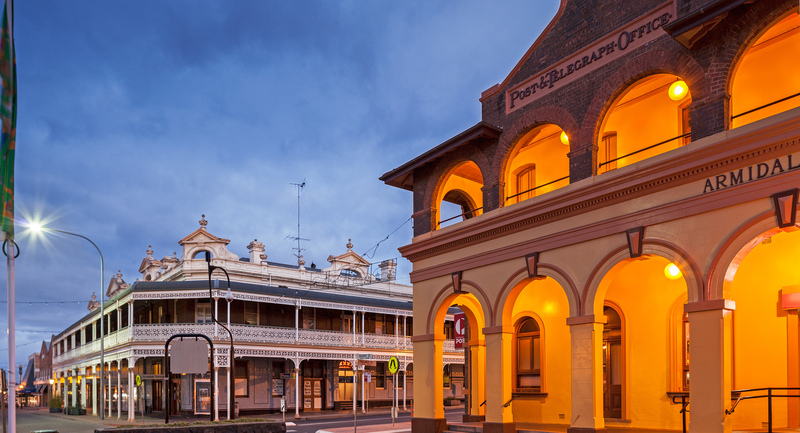 Armidale has a vibrant digital economy, fully fibred to the National Broadband Network, a full suite of community services and a myriad of recreational parks and sporting facilities. Through the University, TAFE, fine independent and public schools the city has become a significant education centre, creating a wider range of jobs and business opportunities than usually found in the country. To the north of the Armidale, Guyra is a spirited rural community centred amidst wild and wonderful natural attractions with a friendly, village atmosphere. A town of over 2,200 people, Guyra is located in the heart of the New England High Country on the New England Highway. The Guyra District is unique because it is situated on the uppermost plateau of the Great Dividing Range; from which land falls away to both east and west. Guyra is fast emerging as a regional centre for agriculture. Quality sunlight, altitude and a small diurnal temperature range has seen a ‘spotlight’ placed on the region as a premier location for large horticulture enterprises. Guyra already houses one of the biggest glasshouse complexes in the southern hemisphere.